Hilos Iris prides itself on being a leader in the Industrial market. 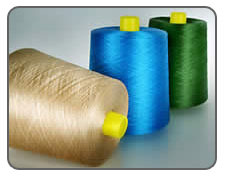 We can supply innovative, quality products and manage different types of fibers such as Rayon, Nylon and Polyester. All of our yarns can be manufactured with special twisting parameters if requested by our customers. All industrial yarn is available in a wide variety of colors.